Welcome to the internet home of Cedars III Bowling Center. Cedars III is a classic establishment newly renovated in 2010. Come check it out and see what the buzz is about. Want to throw a couple of frames? See our BOWLING page for more information about leagues and open bowling. Looking for the perfect place to host your next party or group outing? Go to our EVENTS page to learn about the great options Cedars III offers. 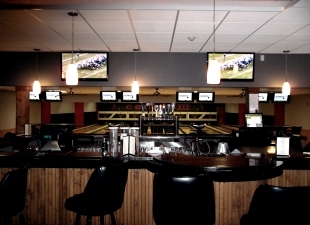 Cedars III is sure to be your favorite spot to catch the game. Featuring 14 flat-screen televisions, you can bet on having a prime spot for all the Packers, Badgers, Brewers, and Bucks action (plus many, many more). See what other fun we offer on our ENTERTAINMENT page. Take a look at our MENU for a great selection of pizzas, sandwiches and appetizers. Cedars III is located in Cedarburg, WI, on picturesque Cedar Creek. Our new deck offers a great creek view and a fine place to enjoy a summer evening. 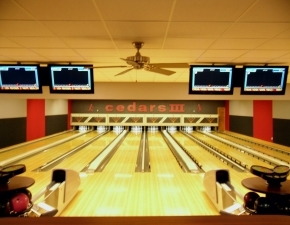 Whether you want to bowl, watch the game, shoot pool or just relax and enjoy a glass of your favorite beverage, Cedars III is the place for you. 2011 Cedars III, LLC. All rights reserved, all images property of Cedars III.